Making the most of your outdoor space is key to enjoying life al fresco. And thanks to leading garden furniture supplier, Alexander Rose, we can now ensure your garden furniture is kept in tip top condition for many years to come. Most wood, such as Teak, Roble and Mahogany have a natural oil content which acts as a natural preservative and will mellow to a silvery grey colour in 3-6 months. All timber furniture will ‘weather’ if left outside and uncovered, so if you want to keep it looking ‘like new’ you’ll need to treat it soon after purchase. 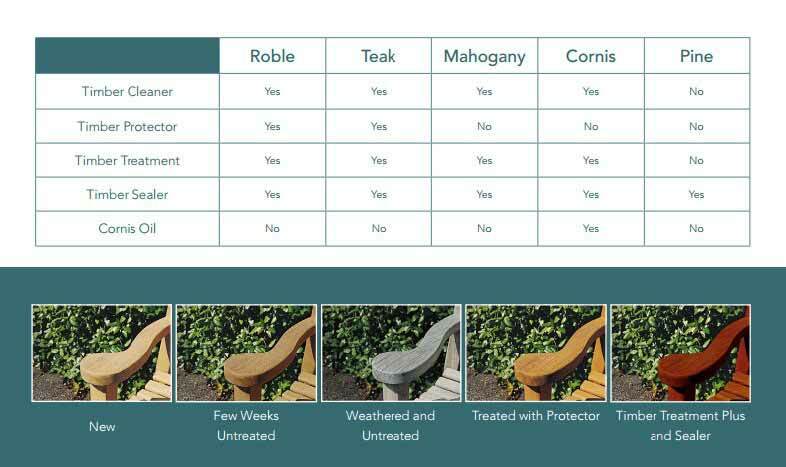 You should choose a quality outdoor furniture oil and this should be reapplied every year. If your furniture is dirty it should be cleaned with a specialist product, such as the Alexander Rose Cleaner product and then the furniture oil should be applied. Here at Burston we stock a range of wood treatment products from Alexander Rose for all their wooden furniture products – and our team is on hand to offer advice.